If you are a Millennial, you’re probably already well aware that you’re fighting an uphill battle in the average workplace. Millennials have been given a lot of flak for being lazy, self-absorbed, and disloyal. Journalists love writing articles about Millennials that cast the entire generation in a poor light. While the criticisms may be true in some cases, they are absolutely NOT true in many others. (I’ve written a couple blog posts about the fallacy that Millennials are bad employees. Check out Millennials and Loyalty and Millennials and Altruism). Unfortunately, many people have bought into the racket and are overly cautious about their Millennial co-workers. So, how do you cut through the distrust and prove that you are, in fact, loyal and you DO want to work hard? I’m sure you have tons of brilliant ideas that you’d like to implement RIGHT AWAY, but hold your horses. If you’re starting out in a new job, take your time to get to know your co-workers, get a feel for the environment, and understand protocol. Be sure to respect the ideas and practices of those who have been in the organization for longer than you have, even if you don’t necessarily agree with their methods. A little respect can go a long way. When you do feel you need to speak up and offer an alternative opinion, do so in a courteous manner. Acknowledge the commonalities between you and the other person or people with whom you disagree, and THEN offer your alternative or dissenting opinion. Remember: your tone of voice and mannerisms can also speak volumes. Pay attention to your body language and be as polite as possible. If you’re looking for respect from your co-workers, then make sure you’re not only turning in your assignments on time and being as punctual as possible, but also make an effort to go the extra mile. Do a little extra research for that report. Help out a struggling co-worker. Turn in a project a day early. You don’t always have to surpass expectations (and probably shouldn’t), but it doesn’t hurt to make an effort to shine from time to time. Just make sure you’re not rubbing your excellence in others’ noses! What’s your five-year plan at your company? What are your goals? Think about your personal expectations for your future self (if you’d like some help with goal setting, check out this past blog post), and commit to them. You don’t know everything. Not only that, there are things you don’t even know that you don’t know! With that in mind, be open to learning and trying new things. Listen. Pay attention. Learn. Instead of thinking about leaving as soon as things get tough or the job doesn’t seem to suit you anymore, communicate. Approach your supervisor, let her know about your discontentment, and strategize ways to overcome your slump (better yet, strategize ahead of time, and let her know your ideas in addition to a collaborative brainstorm). Believe me, everyone has slumps. It’s possible you’ve mastered your work and are now bored, or you might feel ill-suited to the work you are doing (in both cases, a change in responsibilities might help you re-engage). It’s also possible you’ve become unhappy with the work climate and don’t care for certain co-workers or certain office practices. That is a larger problem, but can also be surmountable in some cases (it might just mean talking to certain co-workers and strategizing on how to better work together). Direct communication is key. The last thing you want to do is mope around for a month, make everyone around you unhappy, and then quit. That doesn’t do ANYONE any good! Talking out your discontentment (in a respectful, matter-of-fact way), and strategizing solutions is a much more proactive approach. How will you prove yourself in a workplace that is determined to write you off? Start with these 5 strategies, give them an earnest try, and be patient–others’ attitudes toward you may not change overnight. Remember: if you find the workplace to be overwhelmingly toxic, there’s no shame in moving on. Just make sure to give this decision plenty of thought and consider talking with a career coach before you make your move. Next week, I am going to address how Millennials can demonstrate their loyalty and prove themselves to their company. To lead up to that topic, I wanted to revisit a past blog post from a couple years ago about how Millennials are perceived in the workplace. Thanks for reading and, as always, thank you for your feedback! Let’s talk about a touchy subject: Millennials and loyalty. At first glance, the Millennial generation seems to be comprised of disloyal job-hoppers. Statistics show (according to “Multiple Generations @ Work”) that a staggering 91% of Millennials expect to stay in a job for less than three years. Such high turnover can be tough for companies and cripplingly expensive. In fact, close to 90% of the firms surveyed (according to an article from MainStreet.com) reported that the cost of replacing a Millennial employee was anywhere from $15,000 to $25,000. These numbers seem overwhelmingly negative, but let’s take a step back and look at Millennials and loyalty from a larger scope. First of all, consider the context. Millennials have entered the workforce during one of the worst economic periods in history. Companies are downsizing, outsourcing, and slashing salaries in an attempt to stay afloat. And even though cost-of-living and college tuition are increasing dramatically, paychecks are not. Says Rich Milgram, Beyond.com‘s founder and chief executive, “Younger job seekers don’t have it easy in the current economy and they’ve been put in a hole by the generations that have gone before them.” Oftentimes, Millennials practice strategic job-hopping because they know they could be let go at any time. It’s a defensive move and gives them a sense of security if they feel their current position is in danger of being snipped. More than eight in ten young workers (Millennials, aged 19-26) say they are loyal to their employers. But only one in 100 human resource professionals believe that these young workers are loyal. Another attribute that keeps Millennials loyal? Workplace atmosphere. A 2012 survey by Net Impact found that 88% of workers considered “positive culture” important or essential to their dream job, and 86% said the same for work they found “interesting.” Additionally, the same Net Impact survey found that 58% of respondents said they would take a 15% pay cut in order to work for an organization “with values like my own,” demonstrating that Millennials are not just content with “any old job,” but seek meaning in the work that they do. The issue of Millennials and loyalty is a tricky one, but one thing is certain: We cannot just write-off this generation as disloyal and wishy-washy. With the right workplace atmosphere, excellent leadership, and by providing the right set of motivation tools (as covered in a previous post), Millennials will stick around and perform the kind of innovative, creative work they’re known for. If you (or your company) needs help creating the right conditions for your Millennial workforce, contact me to discuss potential strategies. We’ve been gathering a lot of information about Millennials for the brand new book we’re writing about Millennials and leadership. The book will be a guide for Millennials, their co-workers, and the people who train or lead them. What are the characteristics of an ideal manager? What do you look for when job hunting? Do you care about leadership and titles? Why or why not? What are the advantages of frequently switching jobs? Have you done this in your professional career? Why or why not? What do you think a typical workplace will be like in the future? 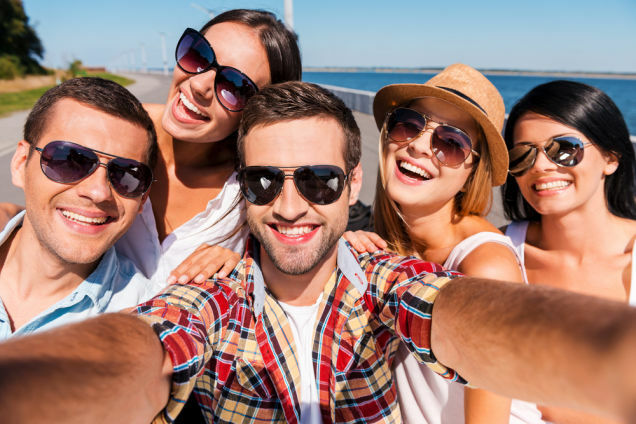 What are some of the positive features of the Millennial generation? Negative features? February 11, 2015 What Motivates Millennials? Today’s new batch of workers are not necessarily motivated by old incentives: a decent salary, a benefits package, a few vacation days. In fact, 92% believe that business success should be measured by more than profit. Instead of luring your new hires in and trying to keep them with traditional methods, take the time to understand how Millennials think. To be brief, Millennials are generally altruistic, enjoy flexibility, crave diverse and challenging tasks, appreciate a healthy work-life balance, and seek fun and camaraderie in the workplace. They also carry quite a bit of college debt and are generally well-educated. According to Cisco Systems, Inc., a whopping 69% of Millennials believe office attendance is unnecessary on a regular basis. 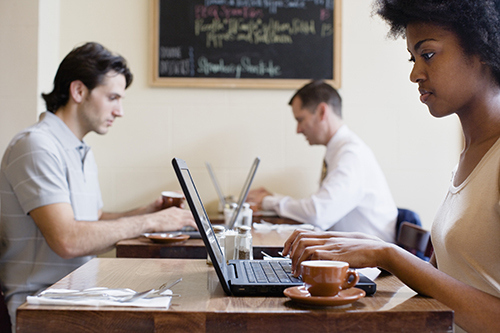 Many Millennials are task or goal-oriented and are perplexed by mandatory 9 to 5 office hours. By allowing Millennial workers to have flexible office hours or a couple work-from-home days each week, your company is more likely to mesh with their work styles. Frankly, some Millennials work better at nine o’clock in the evening and, with a flexible work schedule, that’s okay. Just make sure they have clear goals and are accomplishing everything they need to accomplish (which brings us to suggestion #2…). Millennials like specific goals and tasks and they also like to know how they are performing. Keep in mind, Millennials grew up with lots of measuring sticks—video game scores, report cards, standardized tests, social media performance data such as Facebook “Likes” and “retweets.” They need to know if they’re on the right track or performing to standards. On the same token, Millennials like incentives. Consider running inter-office competitions or giving out bonuses (or something as simple as a gift card to Starbucks) so that your Millennial workers have something fun to work toward. Inc.com says, “Millennials are the poster children of innovation, and encouraging employees to find and utilize new solutions and outside-the-box thinking can have huge benefits.” The employee gets to learn a new skill or think about a problem in a unique way and the company benefits by tapping into the creative thought that Millennials are known for. One way to keep Millennials interested and encourage innovative thinking is to allow them to present self-defined project ideas to your company’s management. Progressive companies like 3M and Google often give employees time to work on projects of their choosing, which helps the employees feel more independent, engaged, and part of the fabric of the organization. Millennials are interested in incentives beyond money. Offerings such as public transit passes (or bicycle commuting credits), shares in the company, or bonus vacation days are all enticing to Millennials (who generally support public transit, like being a part of the larger company picture, and tend to travel far more often than their older counterparts). Another great way to entice Millennials is to offer loan repayment plans (give them a monthly stipend designated toward paying off student debt), or offer them continuing education opportunities (such as encouraging them to pursue an advanced degree or offering office-wide training programs, such as Insights Discovery or DiSC workshops). Have questions about motivating your new hires? Contact me today and we’ll discuss some personalized strategies that you can start implementing in YOUR company this year.